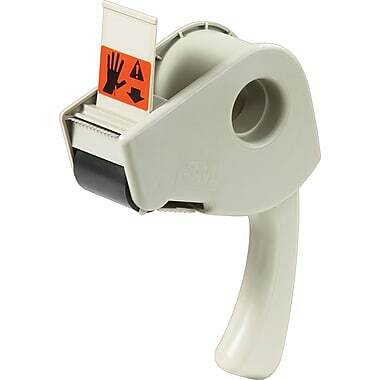 Pistol grip dispenser ergonomically designed for user comfort. Unique pull-apart handle for easy tape loading. High-impact plastic construction for durable, long-life performance.